As some wise person on the internet once observed, it’s decorative gourd season, motherfuckers—which means it’s time to pull out your knits and get ready for apple picking, increasingly tense family dinners, and Tom Hanks’ most unaccountably popular character. That’s right, it looks like Saturday Night Live could be getting more David S. Pumpkins, the cape-wearing, curly-haired ghoul who haunts a high-rise somewhere. There’s nothing really fiendish about Pumpkins, other than his need to pop up where he’s not wanted, so it’s unclear why he’s part of the haunted house, which is probably the whole point. But he’s undeniably popular, so SNL was bound to bring him back. Hanks tweeted a picture of a script with the phrase “The David S. Pumpkins Song.” The festively-dressed haunted house employee sang in his previous appearance on SNL, but he didn’t bring pumpkins to life, per the directions above, which means he’ll pose his now-famous query again to viewers soon enough. Saturday Night Live returns for its 43rd season on September 30 with Ryan Gosling and JAY-Z. 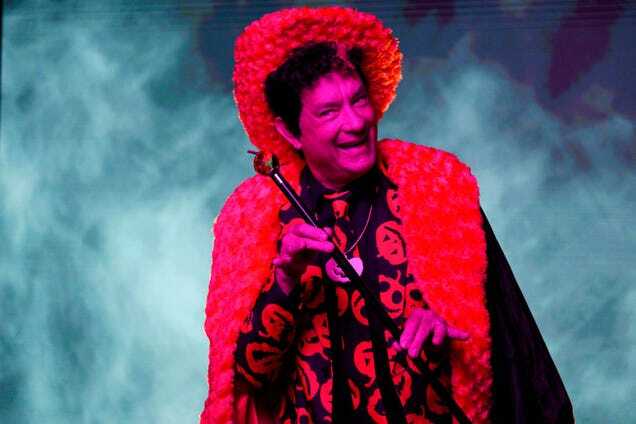 David S. Pumpkins Halloween costumes are going fast: any questions?